It was a colourful morning that showered patriotic vibes all around as Manthanites at different Sampoorna Vikas Kendras (SVKs) came forward with laudable performances during an exuberant celebration of Republic Day. The celebration was double as Mangolpuri SVK also marked its Annual Function, along with Republic Day, on January 25, 2015. 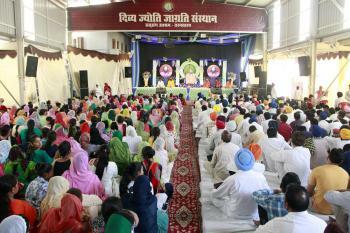 Manthanites from Delhi's Paschim Vihar SVK also joined in the celebration. Preachers fron Divya Jyoti Jagrati Sansthan (DJJS), Sadhvi Asha Bharti, Sadhvi Satyaprabha Bharti and Sadhvi Deepa Bharti, the Program Coordinator of Manthan, were present on the occasion. This patriotic event kicked-off with flag hoisting by the guest Mr. Sameer Garg. All the performances including poems, dance, Sanskrit shlokas and skit stood testimony to the fact that Manthanites have attained a potential platform through Manthan and are now confident enough to perform on stage without any hesitation or hassle. Full of love towards the nation, their performances like dance and skit dealt with the burning issue of educating every child and saving him/her from the clutches of child labour. Parents got tears of happiness when they saw their children performing on stage with full enthusiasm. 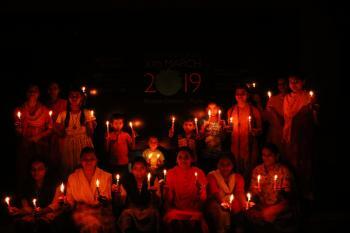 Shedding light on the objective of Manthan, Sadhvi Deepa Bharti, in her address, familiarized the audience with the initiatives taken by Manthan to promote the social cause. She made them aware of the constraints in modern education system and also encouraged them to step ahead and help the under-privileged children by sponsoring their education. Mr. Sameer Garg, a Sponsor at Manthan, also shared his experience on his engagement with this cause. 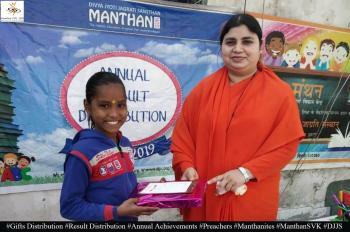 Similarly, another Sponsor Mrs. Prem Arora also underscored the great work done by Manthan to develop the overall personality of children by making them academically, mentally and morally strong. At the end, Manthanites were distributed gifts and they went back with a big smile on their face. That's what Manthan aims. 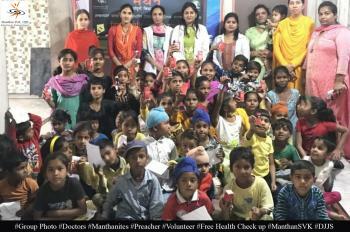 Taking care of their smile, their interest and their awareness is of utmost importance for Manthan. 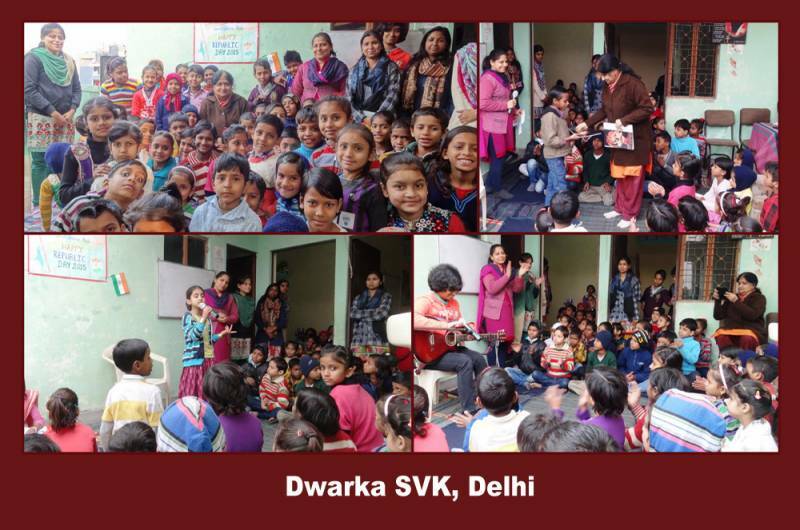 This celebration on January 25, 2015 was again filled with joy and excitement as Manthanites grabbed this opportunity to showcase their performances. 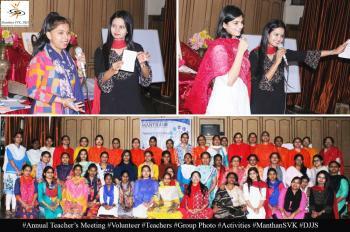 Mrs. Uma Narayan, Counselor and Life Skills Expert, was also present and delivered a motivational speech to enlighten Manthanites. Books were distributed at the end. Padampur SVK also held its celebration on January 26, 2015. Skit, dance and other stage performances by enthusiastic Manthanites earned them praise. Furthermore, a rally was carried out by them to generate awareness on education and the selfless work done by Manthan-SVKs. Same was the fervour at Gaya SVK wherein Manthanites were seen all set to celebrate the patriotic occasion on January 26, 2015. The zealous celebration at Gopal Nagar SVK on January 26, 2015 witnessed flag hoisting by the guest Mr. Chaman Lal Chatly and Ms. Gurdeep Kaur. 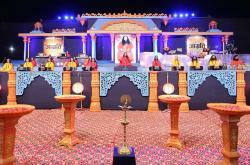 Patriotic dance performances by Manthanites captivated the audience. 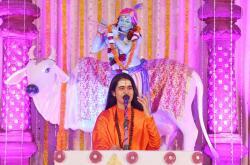 Sadhvi Rajni Bharti, Ambalika Bharti and Sadhvi Veeresha Bharti, DJJS Preachers, were also present on the occasion. Sadhvi Ambalika Bharti, DJJS Preacher, talked about the significance of Republic Day while Sadhvi Veeresha Bharti, DJJS Preacher, cast light on the responsibility of Indian citizens towards their nation. 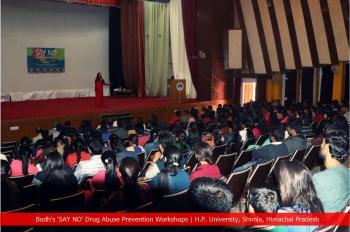 She also discussed the role of parents in generating awareness in their children. 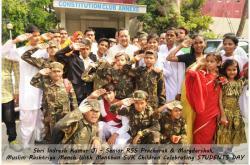 This is how Manthan-SVKs gave their participation in marking the Republic Day of India. They are on their way to transform Manthanites into dynamic, youthful and responsible Indian citizens.